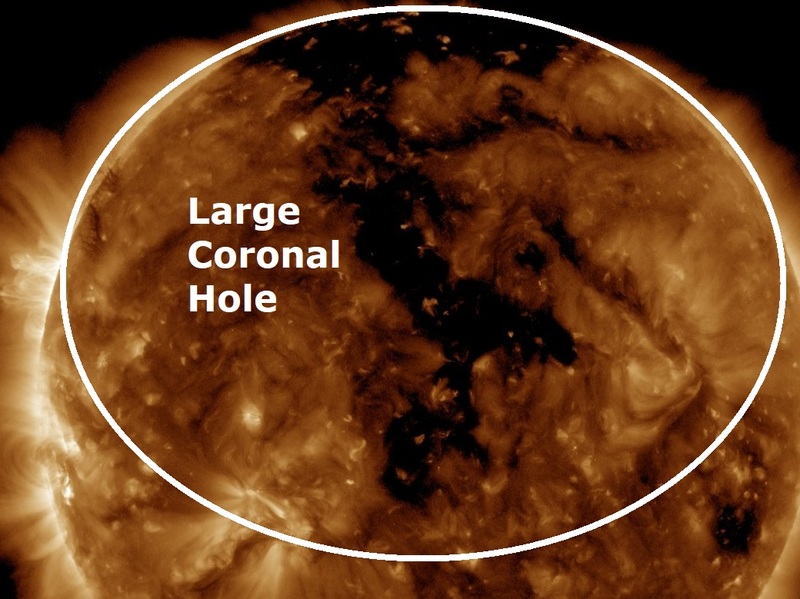 Solar wind flowing from this coronal hole should reach Earth on Oct. 24-25. Credit: NASA/SDO. A massive 700,000 km long coronal hole has opened up on our Sun and is facing Earth, spewing solar wind directly at our planet at a staggering speed of around 700 km/second. We can expect a rise in major quakes for the next two or three days until the solar winds reach our planet on or around the 24th of October when we can expect geomagnetic storms of G1-class (minor) storms on Oct. 24th, possibly intensifying to G2-class (moderately strong) on Oct. 25th when the quake alert will decrease.